Henry “Harry” Rhook was the son of Matthew Charles Rhook and Elizabeth Jane Quick and was born in 1891 at Hamilton. The Rhook family lived at 6 Eversley Street, Hamilton. When Henry completed his schooling he worked as a plumber. He worked in Hamilton for John Goss and at Beaufort for Mr Robertson. Henry’s brother Archibald enlisted in July 1915 and the following year, Henry joined him, enlisting on 29 May 1916. He sailed on 25 September 1916 for England with the 39th Battalion, 3rd Reinforcement. After he arrived on 11 November 1916, he spent some time training before arriving in France on 21 December, 1916. 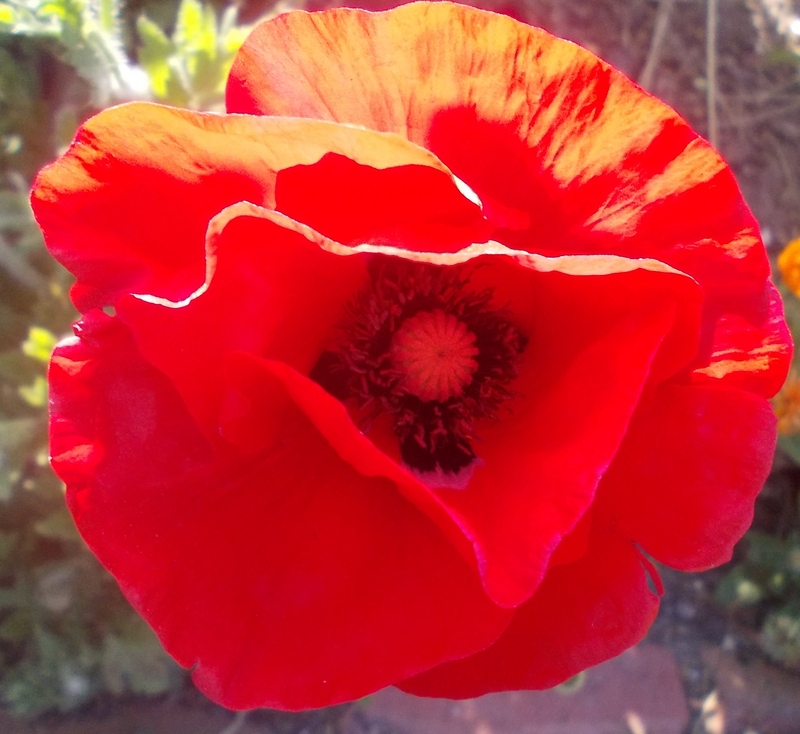 Henry had only been in France two months when on 23 February 1917 he was wounded near Fleurbaix. 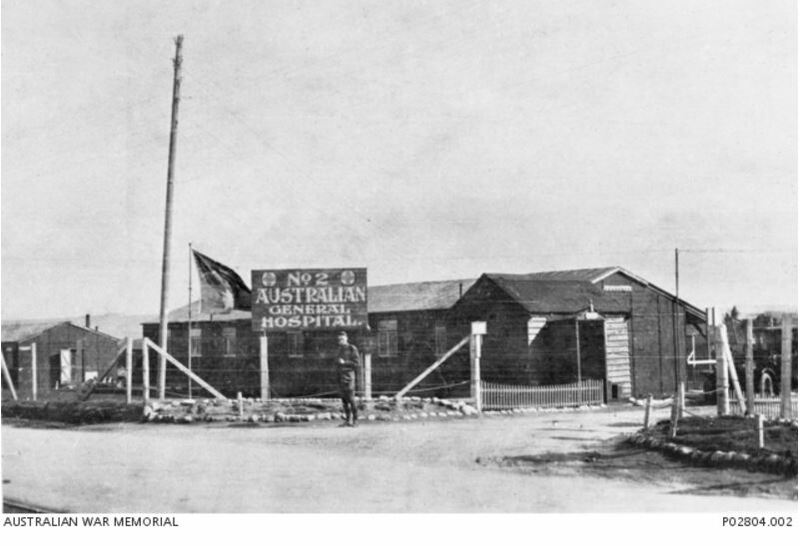 Suffering a fractured skull, Henry was admitted to the No 2 Australian General Hospital at Wimereux. 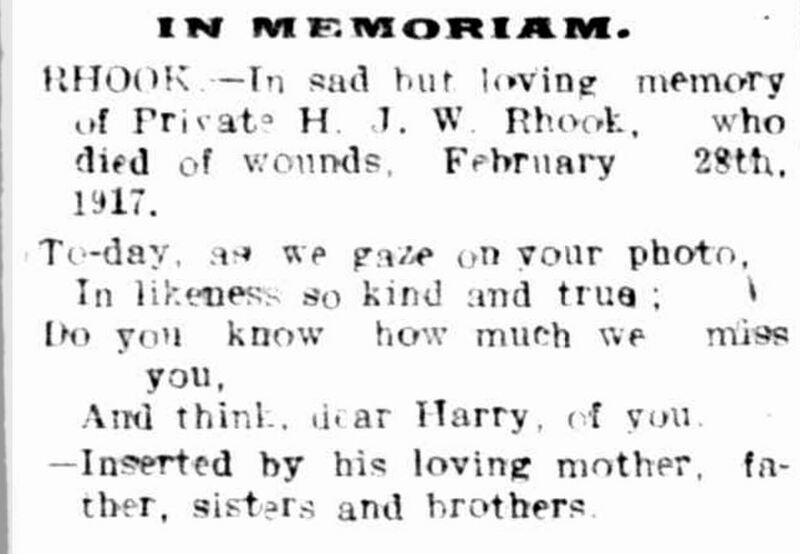 On 28 February 1917, Henry suffered a cerebral hemorrhage and died. The Reverend R.C.Foyster of Hamilton delivered the news to the Rhook family in early March. “Family Notices.” Hamilton Spectator (Vic. : 1870 – 1873; 1914 – 1918) 28 Feb 1918: 4. <http://nla.gov.au/nla.news-article119499307&gt;. Henry’s name is on the Hamilton War Memorial.